Possibly you encounter the same issue as me, I had 2 outlooks installed on the surface. 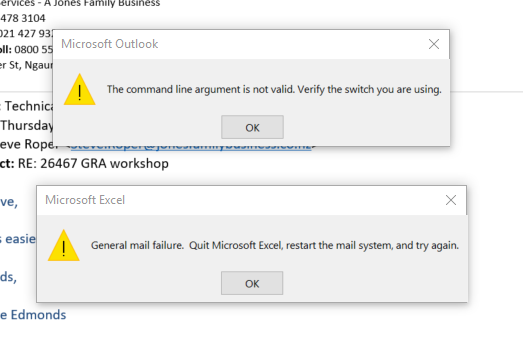 To solve this issue you need to do on your Windows 10 machine: start -> search -> outlook, if you see two outlook results (one is for windows 10 outlook app, the other one should be your desktop outlook), please remove outlook app from your machine. After the removal sharing started to work correctly.